Because our most precious cargo rides in school buses, we’ve spent more than two decades designing and engineering the best school bus seats and portable restraints on the market. 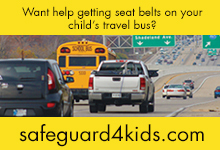 SafeGuard is a brand of IMMI and the leading provider of 3-point seat belts, portable child restraints, and safety testing in the school bus industry. IMMI was the first to introduce 3-point lap-shoulder belts on school buses nearly two decades ago, and has been the most trusted manufacturer ever since. In addition to the school bus market, IMMI is the leading provider of safety systems in car seats, heavy trucks, fire apparatus, UTVs, construction equipment, and military. IMMI, based in Westfield, Indiana, is also home to the Center for Advanced Product Evaluation (CAPE), which has crash tested more school buses and school bus than anyone else in the world in a continuous effort to improve safety. 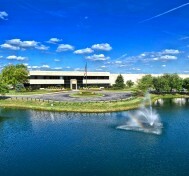 IMMI operates facilities in North America, Asia, and Europe. It’s 1,200-plus team members are dedicated every day to Bringing Safety to People.